Who doesn’t know the Town Musicians of Bremen: Donkey, Dog, Cat and Rooster? They are the symbol of the Hanseatic city called the State of Bremen, which consists of Bremen city, located on the Weser river, and Bremerhaven (Bremen Harbor), a North Sea harbor, further downstream. Visit this popular destination with our limousine service. Perhaps you are traveling on business to Bremen and want to take a little time to visit the tourist highlights? Book our Two to Three Hour City Tour of Bremen. Our chauffeur-guides will gladly show you the city in a comfortable limousine of your choice. They will drive you to the Bremen Market Square, the Focke Museum or to the medieval quarter of Schnoor, which is characterized by narrow alleyways and half-timbered houses. Enjoy the Bremen Town Hall and the Bremen Roland Statue or visit one of Bremen's breathtaking cathedrals, the over 1,200 year-old tri-naval basilica of St. Peter's (St. Petri Dom), or Our Lady's Church (Liebfrauenkirche). The first impression on a business partner often decides the outcome of a business deal. TOP-ALLIANCE's professional limousine service will bring you to your destination safely and on time, ensuring you're comfortable, confident and relaxed when you step out of our vehicle. 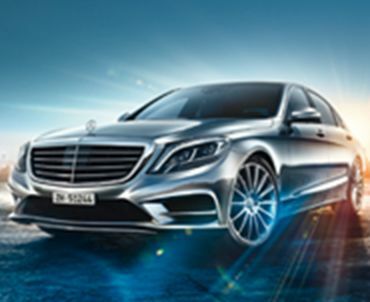 Reliable airport transportation, transfers from A to B and hourly hire are further options. Booking: We’re available 24 hours a day and will process your request within seconds, just contact us by phone or email. We are happy to accommodate any individual wishes you may have. Pay for any type of transportation by credit card, bank transfer, or we can invoice you. Our Customer Care Team will gladly help you with any further questions. TOP ALLIANCE – Your transportation specialist for over 25 years. Services in the listed cities are provided by TOP-ALLIANCE and/or our partner.